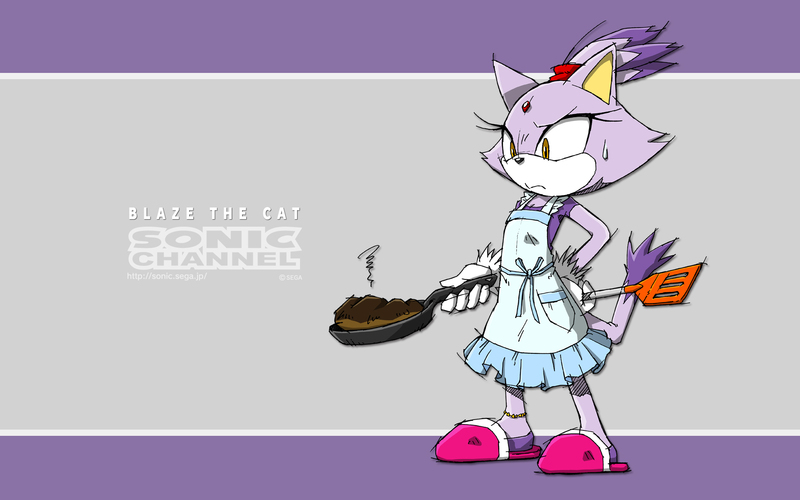 Sonic Channel - 8/20/14. . HD Wallpaper and background images in the Blaze the Cat club tagged: photo blaze cat can't cook sonic channel. This Blaze the Cat wallpaper might contain anime, comic kitabu, manga, cartoon, and mkono.